Hellllooooo again! I hope some folks had fun with last month's prompt - it's been pretty quiet in the Facebook group, but I continue to hope that the little ideas are helping someone's muse. I wasn't able to get down to the beads last month, but I've sternly admonished myself that this month I shall make it work. 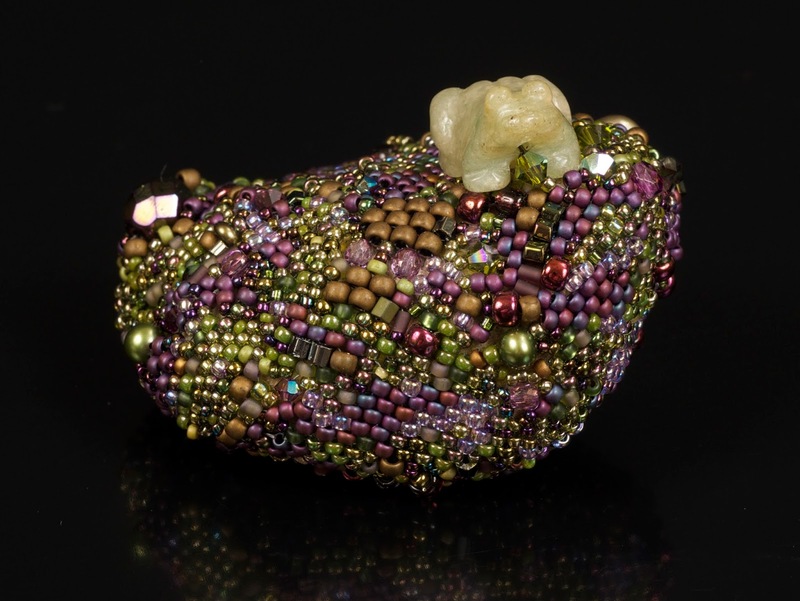 Getting down to business, this month's prompt is something that almost always inspires me - Bead A Rock! Since I know that not everyone is quite as excited about beading an actual, normal, boring rock as I am, I am including beading around a semi precious cabochon or donut as Beading A Rock. In the last few years I have been collecting little rocks from places my husband and I visit, bringing them home, and encasing them with beads. Sometimes I encase them with freeform peyote, sometimes with freeform right angle weave, sometimes with a combination of both. If you're interested in photos of some of the ones I've done previously, you can find them all in a blog post HERE. This month I plan on using a special beady soup I purchased to encase one in a combination of the two stitches mentioned above. 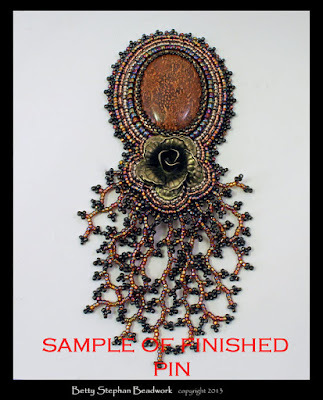 If you're interested in finding out how to encase your own rocks, Karen Williams of Skunk Hill Studios wrote a book on freeform beadwork in which I have a tutorial explaining how I go about it. (The book is also jam packed chock full of other awesomeness, so I recommend it even if you never want to bead a rock!) You can grab the book HERE on Amazon, or you can get the quick download Ebook HERE in her Etsy shop. I found some really fabulous tutorials/kits around this prompt for beading around cabochons or shaped rocks if you aren't into beading a rock from your driveway, so read on. 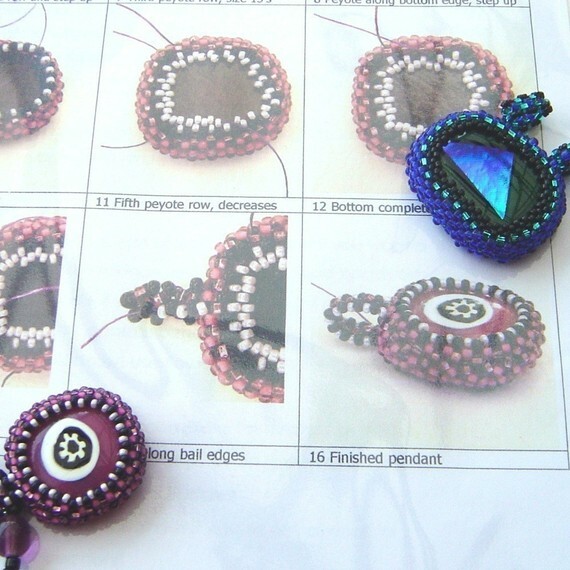 Betty Stephan Beadwork has AHMAZING tutorials and kits which use semi precious rocks - I especially love this brooch kit. You can purchase any of her things HERE. Ella Dess of Ellad2 has a beautiful tutorial in her shop for beading around a semi precious donut - something I keep meaning to do myself, as I have a ton of donuts and Ella's tutorials are wonderful. You can find the tutorial HERE. 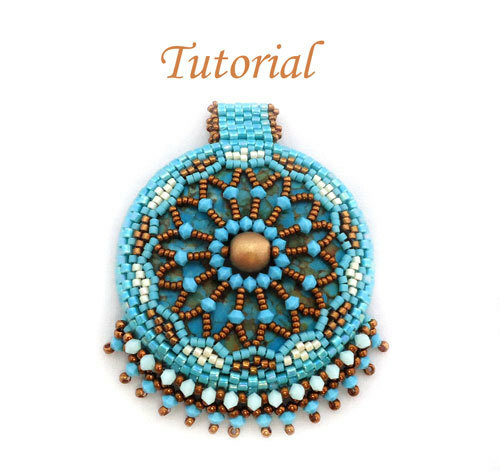 And the terrifically talented Lynn Davy has a tutorial on capturing a cabochon with right angle weave and peyote HERE in her Nemeton Etsy shop. There are also lots of tutorials which use lunasoft cabochons out there, and if you have a semi precious cab of the same diameter you could definitely substitute. 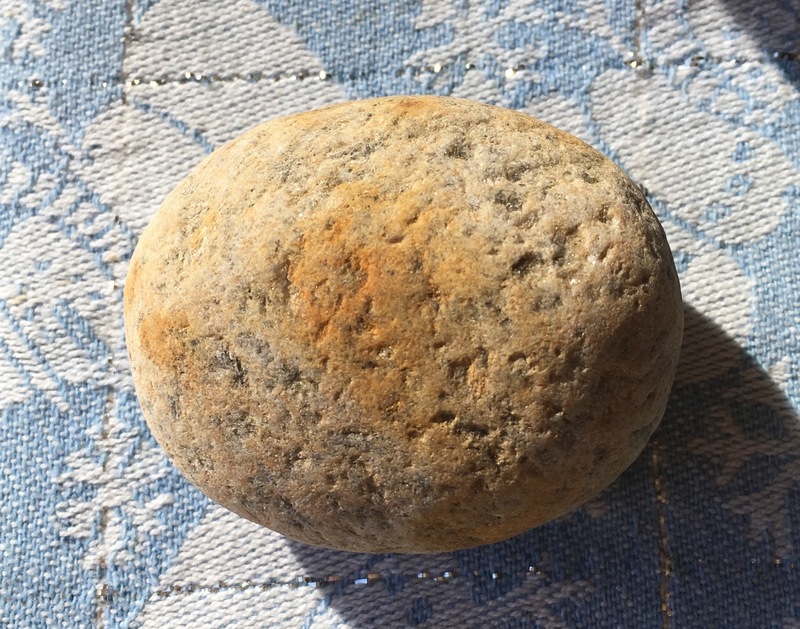 This is the ordinary little rock I'm starting with - hopefully I will have some in progress pics to show in the FB group, and a finished and ornate rock to show next month. I hope you have fun with the prompt, I can't wait to see what you all come up with! Have fun and happy beading!